Woo Hoo! We actually had a snowstorm that dropped more than an inch or two. Yesterday evening/last night we received 4 inches of snow. 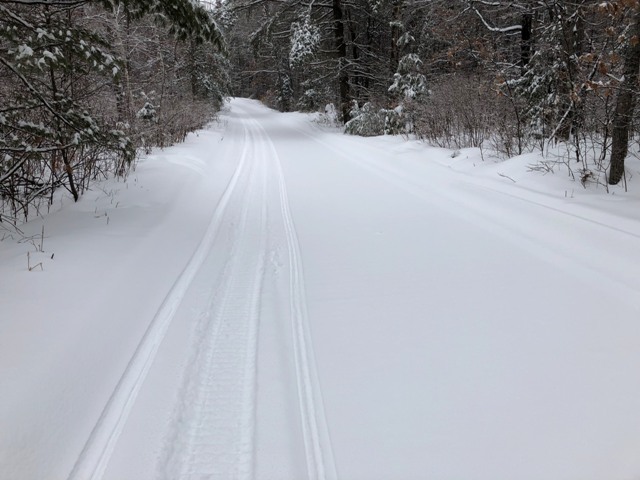 I headed out for a ride to see how things are and enjoy the fresh snow hitting some St. Germain, Eagle River, Sayner, Lake Tomahawk and Sugar Camp trails. Sayner had groomed some of their trails I rode but not others. 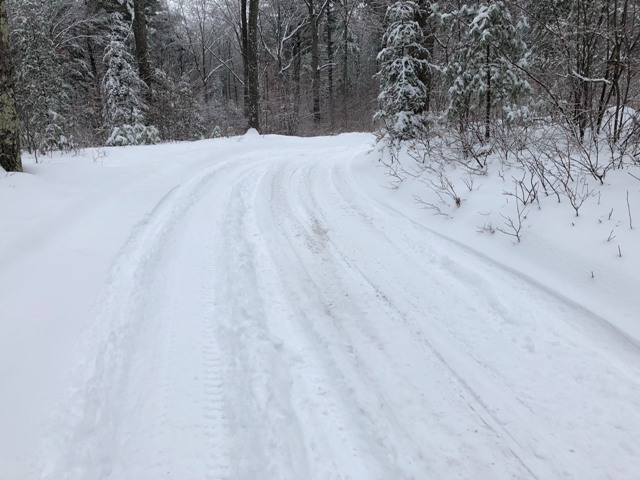 The Sayner, St. Germain and Sugar Camp trails were all smooth with a few icy corners. The Eagle River and Lake Tomahawk trails I rode were bumpy with lots of icy corners under the fresh snow. Hopefully all clubs will be out to pack this new snow down on top of the icy base we already had. 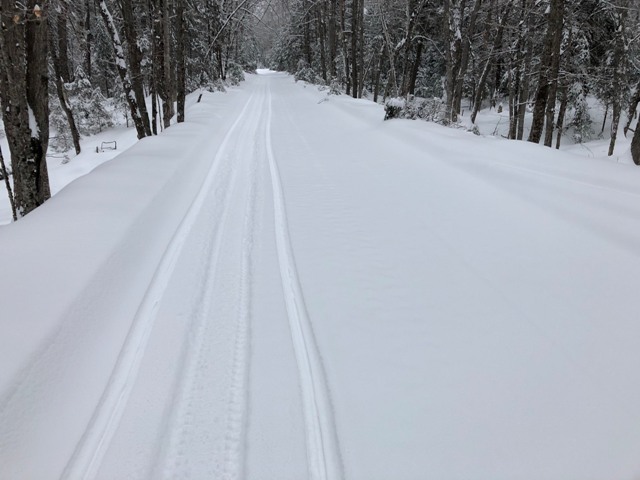 My guess is after a couple grooming and some cold temps, most trails should be good or better. Idle Hours Resort is located in northern Wisconsin between Eagle River and Minocqua. Our 11 cabins are nestled under towering pine trees along 500′ of north shore lake frontage on Little St. Germain Lake.